There's something about a pink shoe. I am finding that the easiest way to wear colour at the moment is to block it, and I can't resist the lure of a pop of colour on an accessory-namely, a bag or a shoe. 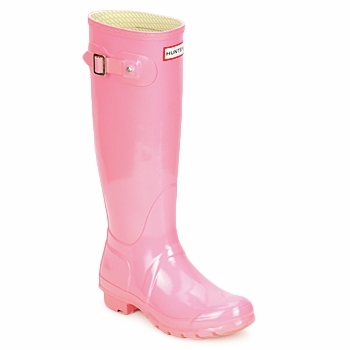 Of course, a welly is hardly the route to understated glamour, but I thought, you know, if you were at Glastonbury this weekend then a gorgeously pearly pink Hunter welly is the only way to handle the mud in style. I'm sure it would get Beyonce's vote! But back to everyday summer glamour. 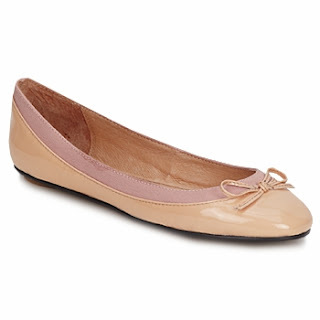 A flat pump is the easiest way to chic, and with these luscious pink ballet pumps you can totes determine how bright you want to be. Feeling demure? Pick a leg-lengthening blush pink pair to add a softening wash of colour to any look. But if you feel like demanding attention south of your ankles, a neon pink pair in luxe brushed suede will surely get you noticed. Summer always seems to bring Weddings, Christenings, work evening do's and all manner of other formal occasions, for which only a sandal seems right. Worn with a pretty floaty dress or a pair of luxe silk cullottes, a sandal is both stylish and occasion-appropriate. The muted colours of these pairs would complement any outfit whilst still being a safe investment buy-they'll also look the buisness for a night out. Imagine the pair below teamed with rolled leather shorts and a silk tee? A wonderful mix of textures and fabrics collide to create a perfect look. All these stunning shoes, and so many more, are all available from Spartoo. Which pair do you like best? 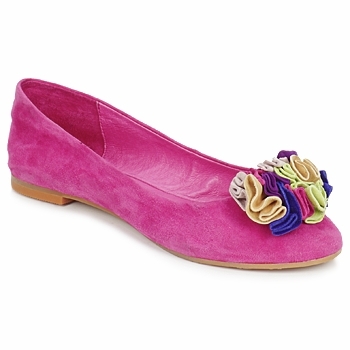 I like the ones with the little corsage on the front. So sweet.